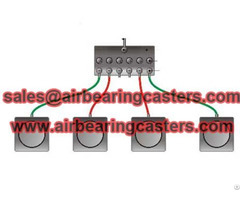 Air casters capacity from 10 tons to 1000 tons, and can be customized as demand. 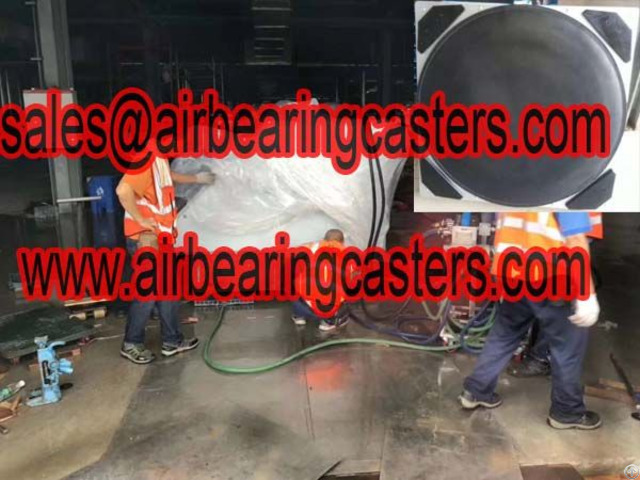 Air casters also know as air cushion, air bearing skates, air movers, air skates, air rigging systems, air load carrier, air skids, air film transporters and so on names. 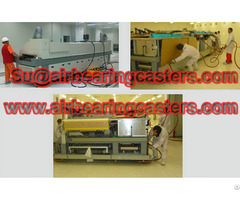 Air casters is one kind of transport system, the air casters need to be mounted under a support plate or a frame. Air bearing skates have follow models: 10 tons air casters, 16 tons air skates, 20 tons air movers, 32 tons air cushion, 48 tons air film transporters. 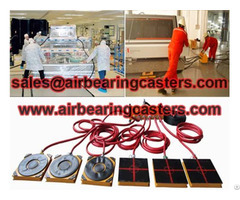 Air caster also named air caster load module systems, heavy duty air skates, air trailer, air skate on air, air bearing kit, and so on names.